A compelling novel of desire, secrecy, and sexual identity, In One Person is a story of unfulfilled love ― tormented, funny, and affecting ― and an impassioned embrace of our sexual differences. Billy, the bisexual narrator and main character, tells the tragicomic story (lasting more than half a century) of his life as a ‘sexual suspect’, a phrase first used by John Irving in 1978 ― in his landmark novel of ‘terminal cases’, The World According to Garp. 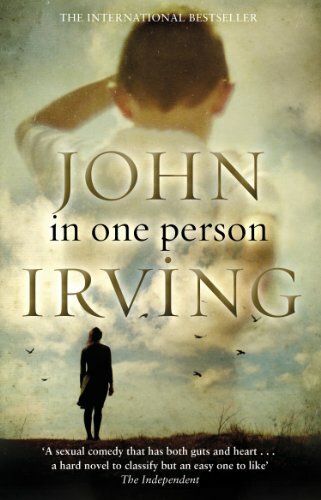 His most political novel since The Cider House Rules and A Prayer for Owen Meany, John Irving’s In One Person is a poignant tribute to Billy’s friends and lovers ― a theatrical cast of characters who defy category and convention. Not least, In One Person is an intimate and unforgettable portrait of the solitariness of a bisexual man who is dedicated to making himself ‘worthwhile’.